It’s certainly possible to prepare and smoke a cigar with nothing more than your teeth, hands and a BIC lighter, but you won’t get the most out of it. There are some techniques and paraphernalia that will allow you the greatest enjoyment of the flavours, aromas and multiple nuances of your smoke. A really good smoke is about ritual, process and taking your time. Having the right cigar accessories is vital for optimal preparation of the cigar and to make sure you get the most out of your smoke. Unless you plan to smoke every cigar you buy the moment you buy it, you’re going to need a humidor to store your cigars and keep them in the best shape possible. Humidors regulate the humidity of their internal environment to ensure cigars don’t dry out, helping them last almost indefinitely, depending on the quality of the humidor. Furthermore, many cigars actually improve with age when kept in a good quality and properly maintained humidor. There are a wide variety of brands of Humidor at different price points from the exquisite (but expensive) Davidoff Cave de Paille to the Germanus Humidor. The key is to carefully read reviews from respected aficionados, and beyond that chose one to suit your own particular aesthetic sense of style. You should pair the type of humidor you purchase with what you want it to achieve. 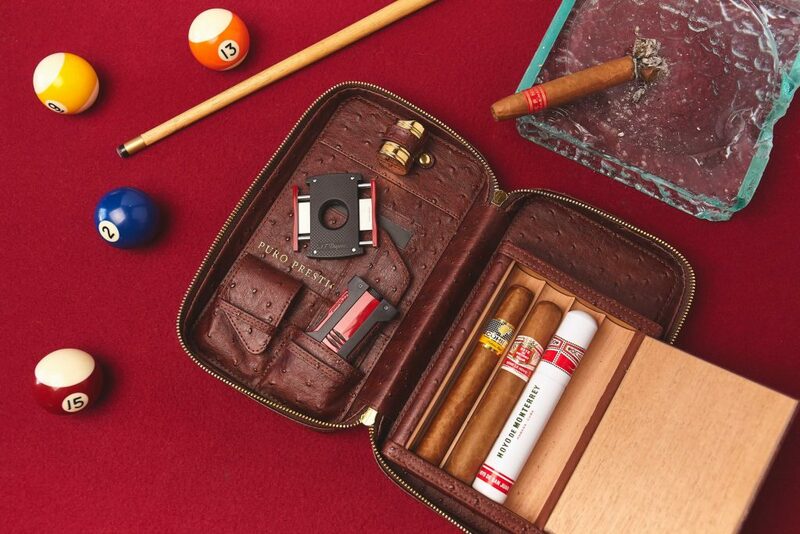 If you want to keep a few cigars protected and fresh on your next holiday, then a travel humidor is your solution. If you want to store and age your cigars, then a tabletop or cabinet humidor will be ideal. If you have thousands of luxury cigars to take care of, then go for every aficionado´s dream and opt for a sumptuous walk-in humidor…and if this is the case then please pop an invite to all at Puro Prestige please. If you plan to enjoy your cigars further than a few feet from your humidor, it’s likely you’ll need a quality cigar travel case that will keep your cigars perfectly fresh when you’re on the road. The ideal cigar case for traveling needs to be sturdy, capable of holding your favoured size and shape of cigar, whilst securing all your other cigar accessories as well. It’s also got to look great! You can read our full guide on how to choose a travel cigar case here. The head of a cigar needs to be cut off before it is smoked and a high quality cutter is essential if you want to get a sharp, precise cut every time. There are many brands of cigar cutter our there – we prefer and Xikar and S.T Dupont cutters ourselves due to their quality, durability and design. Beyond the brand a smoker needs to choose what style of cutter they want. Many classically-minded smokers like to use specialist cigar scissors or even a knife, others prefer the simplicity of a double-bladed guillotine and some like to use a punch cutter. We’ve written a blog on the subject of cutting cigars – have a look at it here. It is possible to light a cigar using an ordinary soft-flamed lighter, but not recommended for the beginner. Seasoned smokers sometimes prefer to use a simple long match, but the majority like to use a specialist, re-fillable butane cigar lighter like the ones we stock from S.T Dupont and Xikar. Thick cigars with large ring gauges almost make a torch lighter a necessity, and if the lighter is to be used outdoors a torch flame is a must regardless of the size of the cigar. You’ll want a lighter that provides a hot, steady and adjustable flame to ensure an even burn and you’ll want one with a design that suits your taste and fits with the rest of your collection of cigar accessories. 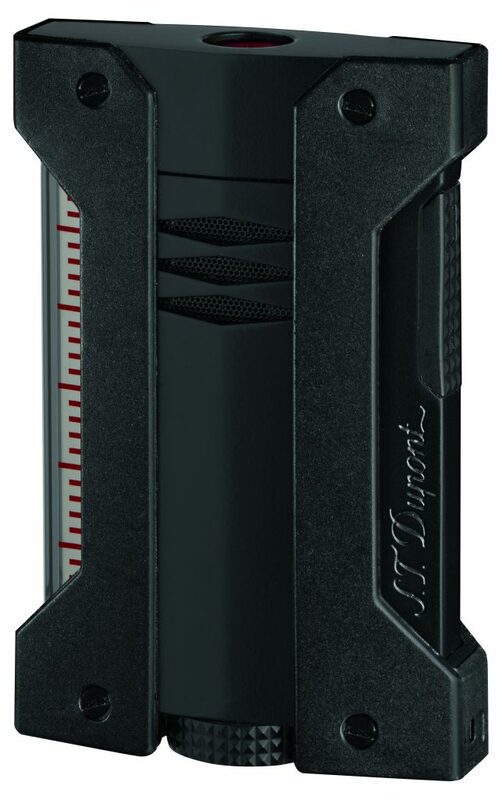 My personal preference is the S.T Dupont Defi Extreme Lighter due to its robust build and faultless performance. Ashtrays are an absolute necessity for cigar smokers. Due to their limited functionality there isn’t much variation in design – it’s all about style preference. Glass ashtrays have proved rather popular as glass is absolutely perfect for dealing with ash. Glass, and particularly crystal, can be thoroughly cleaned very easily, resists stains and deals with high temperatures accordingly. Glass also usually goes well with most internal decor. Ceramic ashtrays are also smooth and easy to clean but are a more fragile option. The ability to have a myriad of colourful designs placed on ceramics usually enables the buyer to choose a design that is in keeping with their own taste of style. Now, once you’ve got the vital cigar accessories together, all that’s left to do is select a preferred cigar, get comfortable and light up.